1. Madurai Airport - It is highly recommended that you plan your travel to arrive at Madurai airport as it is just 120 kms away from Kodaikanal. Upon arrival at Madurai airport, you can take a taxi up to Kodaikanal which is about a 2.5 to 3 hours drive. Here is all the information you need about booking flight tickets to - Madurai Airport. 2. Coimbatore Airport - Arrival at Coimbatore airport to reach Kodaikanal is an other good option. The Coimbatore airport is about 180 kms away from Kodaikanal and a 3.5 to 5 hours taxi drive up the hill. Here is all the information you need about booking flight tickets to - Coimbatore Airport. 3. 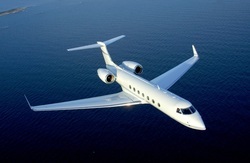 Trichy Airport - This airport is another recommended option. The Trichy airport is about 195 kms away from Kodaikananal and a taxi drive from there takes about 4 to 4.5 hours. Here is all the information you need about booking flight tickets to - Trichy Airport. The nearest railway station to Kodaikanal is the Kodai Road Station which is about 80 kms from Kodaikanal. There are frequent taxis services from the railway station that will take you up to Kodaikanal. There are buses available from the station to Kodaikanal, but if you plan to choose this option be sure to check the timings as the buses operate on a timely basis. Get all the details regarding trains to Kodaikanal Road here - www.indiarailinfo.com/arrivals/789. Direct overnight buses start in the evening and drop you directly to Kodaikanal the following morning. 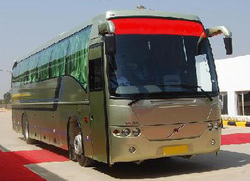 From Bangalore to Kodaikanal: Various bus services like KPN, SRS, Parveen, KSRTC etc. operate on a daily basis to provide transportation from Bangalore to Kodaikanal. You can book tickets from Bangalore to Kodaikanal here - redBus, goibibo & MakeMyTrip. From Chennai to Kodaikanal: KPN, SRS, Parveen, TNSTC buses operate on a daily basis from Chennai to Kodai. You can book tickets from Chennai to Kodaikanal here - redBus, goibibo, MakeMyTrip & ClearTrip. You can use an alternate service of using public transport from Madurai. You can find the details here - www.tnstcmadurai.in/timings.html. Kodaikanal is accessible through through two mountain road (ghat) sections. Your choice of which approach road to take depends on which city you are coming from. 1. The Palani ghat section is 55 km. 2. The Kodai Road ghat section is 48 km. You can book cabs from various destinations to reach Kodaikanal and for sightseeing tours within Kodaikanal here - www.kodaicabs.com/tariff.